Jimmy and Gloria came to Dean to create a special engagement ring. 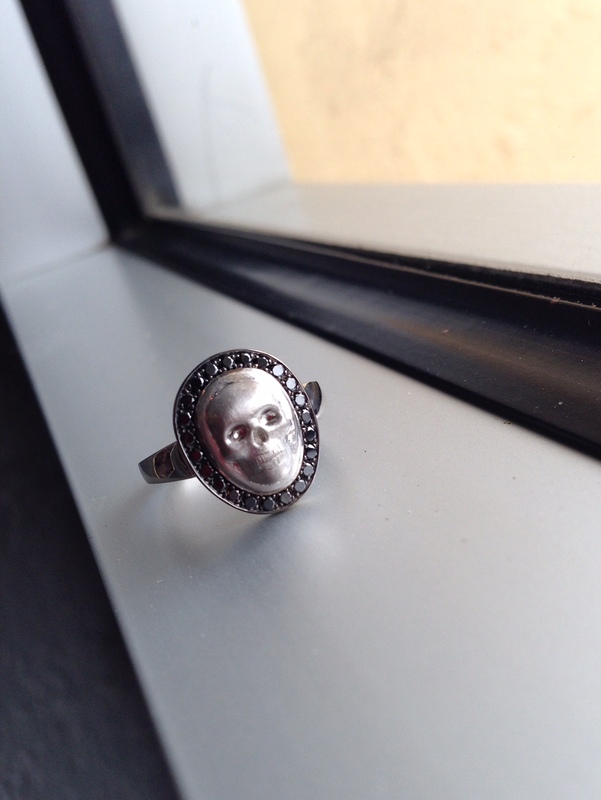 This custom platinum ring features a matte skull at the center, surrounded by a black diamond halo, with a polished band. Congrats to Terry and Sheri! 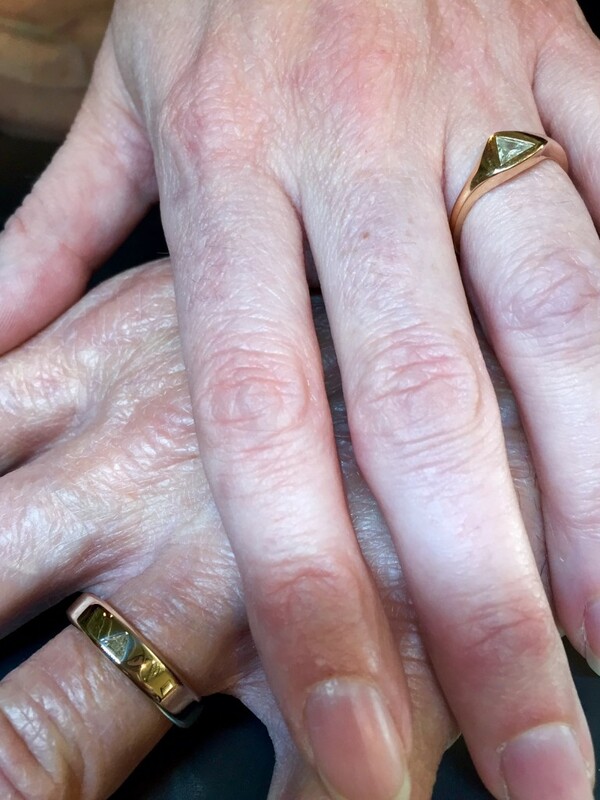 Today Terry took home a custom wedding band that Dean created to match his fiancé Sheri’s custom DF ring. 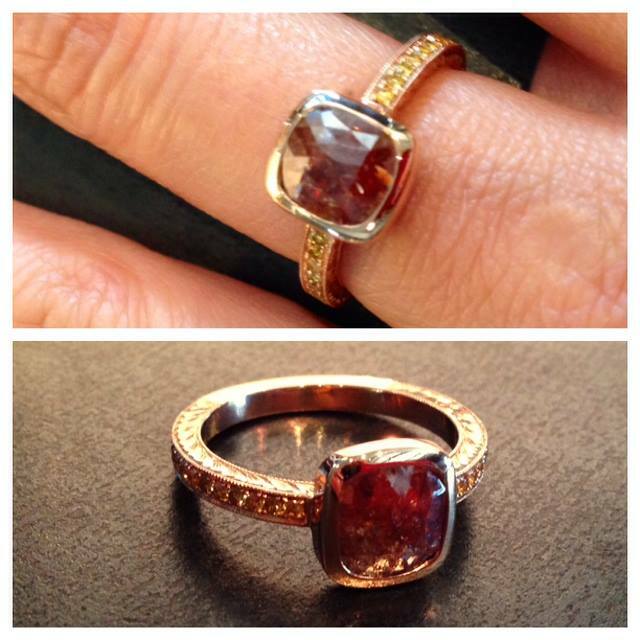 Each ring features a trillion cut diamond flush set in a polished rose gold band. The triangle shape is important to them, but we’re not entirely sure why. Science, spirituality… magic? Maybe a little of everything. Terry and Sheri are getting married in about a week, and we wish them the best!